Above: Light test becomes a self-portrait – Kristin Perers. I am delighted to introduce London-based photographer, fellow displaced American and creator of This Is 50, Kristin Perers. We met at a mutual friend’s party three years ago when I was 51 and she was about to turn 50. 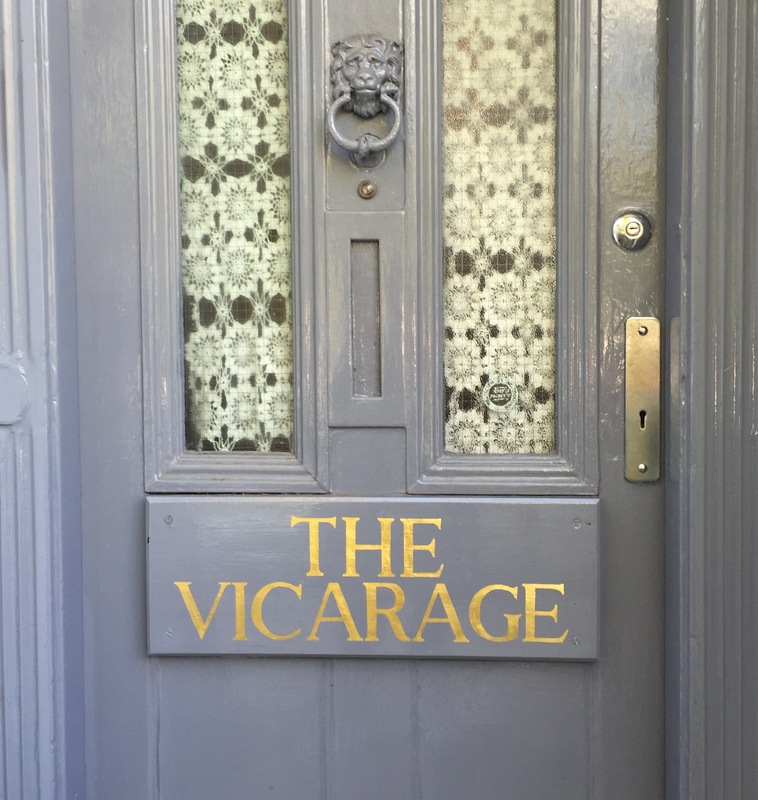 Our tentative first “get to know each other” date was lunch one afternoon in late autumn at The Vicarage, the home she shares with her husband (the Vicar) in East London. Four hours later, we were so engrossed in conversation that it was only when the Vicar walked in and peered at me through the dark as we were introduced that we realised we hadn’t turned on the lights. She mentioned that she wanted to celebrate her 50th birthday with a creative act and we discussed the many forms that could take. Drawing on her past experience as a painter, a fashion designer (Calvin Klein and Banana Republic) and a photographic stylist (Elle Decoration and Toast), she decided to start This Is 50, her blog that features portraits of women in their 50’s. I was honoured to be her first subject (Christine, 1961) and now it seems only fitting that she is our first Fabulous Fabster. Thank you, Kristin. Above: Testing the light, self portrait – Kristin Perers. MCHS – You marked your fiftieth birthday by launching This Is 50. What more can you tell us about how it started? What sort of feedback have you had since its launch in 2013? KP – The most surprising thing to me about turning fifty was the lack of inspiring role models available. In my work and personal life, I was meeting amazing FAB women all the time, but these women weren’t being represented in the places where I was in the habit of going to seek inspiration — like films and magazines — and that seemed like a great loss. I was looking for role models and they weren’t there. Turning fifty was significant for me — I had started a new career, was newly married and feeling very alive. I figured, “Why not celebrate this?” and that was the beginning of This Is 50. The response has been very enthusiastic both from the women in my generation but also, rather interestingly, from the women who are coming up behind us in their 30’s and 40’s. They feel that the women I have featured and the images I have captured give them something to look forward to. 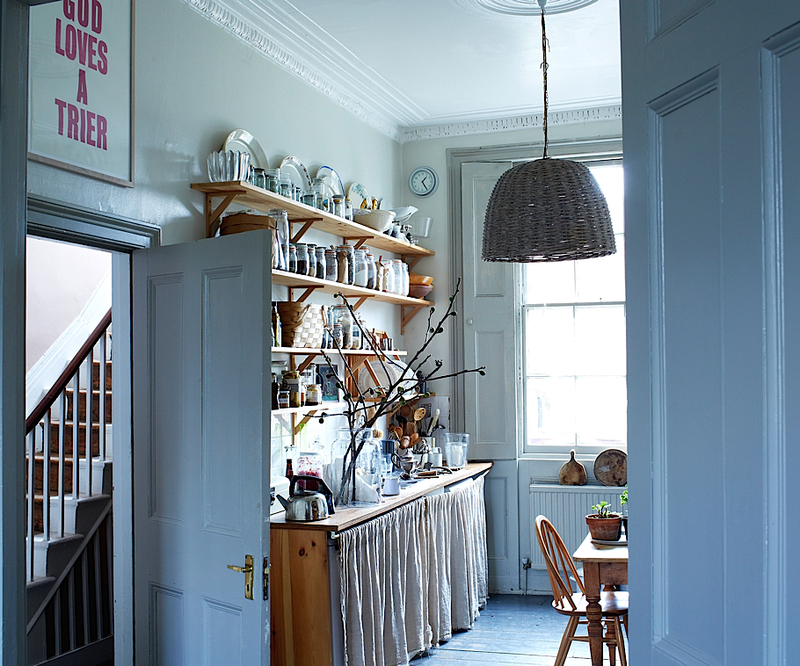 Above: Kristin often shoots on location at home in the vicarage where she has ready access to her many props from her days as an interiors stylist. 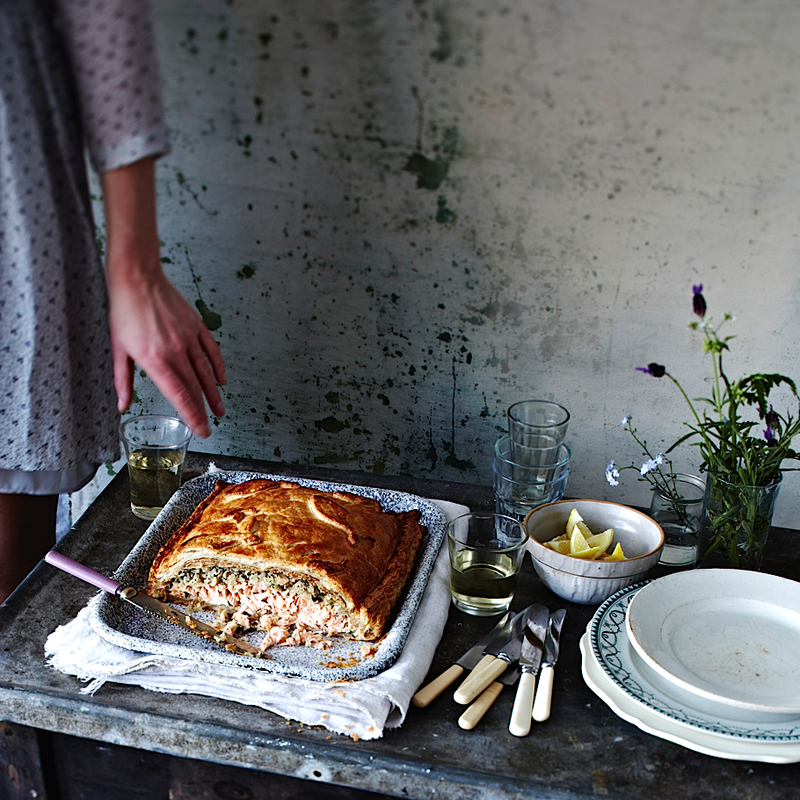 She shot this photograph, using one of her hand-painted backdrops, for “Great British Bake Off: Big Book of Baking”. 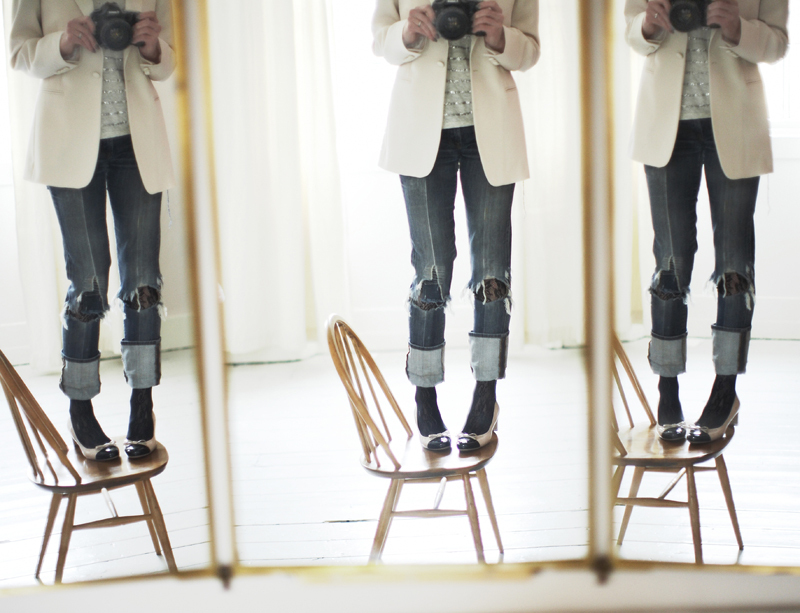 MCHS – You have had a career as a fashion designer, an interiors stylist and now a photographer. What would you say were the impetuses for the different shifts in your career? KP – When I was little and my dad would speak to me about my school grades, he would always say, “You are going to have to work for a living so you might as well love what you do.” I took that on board and have always been working in the creative industries. I quickly realised that if you are not passionate from the heart, your work won’t ring true because you are always second-guessing. For example, I loved working as a fashion designer but I felt that the only way to move up was to become a design director. I wasn’t interested in managing though because I enjoyed the creative process too much and wanted to stay “hands-on”. Above: L. Making things with her hands has always been a part of Kristin’s creative process. R. Kristin’s painterly sets reference her beginnings as a student at The Art Student League in New York. The shifts in my career come from always wanting to explore something to its fullest and being ready to expand and move on. I always want the journey to continue toward something new as opposed to repeat itself. And then I had two small children and my criteria for a job became one where I could pick up a phone with crying babies in the background and it wouldn’t matter. That’s when I took a year out and decorated the house I shared with my first husband on a shoestring, which I documented with photographs and made into a scrapbook. This developed into a book I wrote called The Seasonal Home. This was how my career as an interiors stylist began. 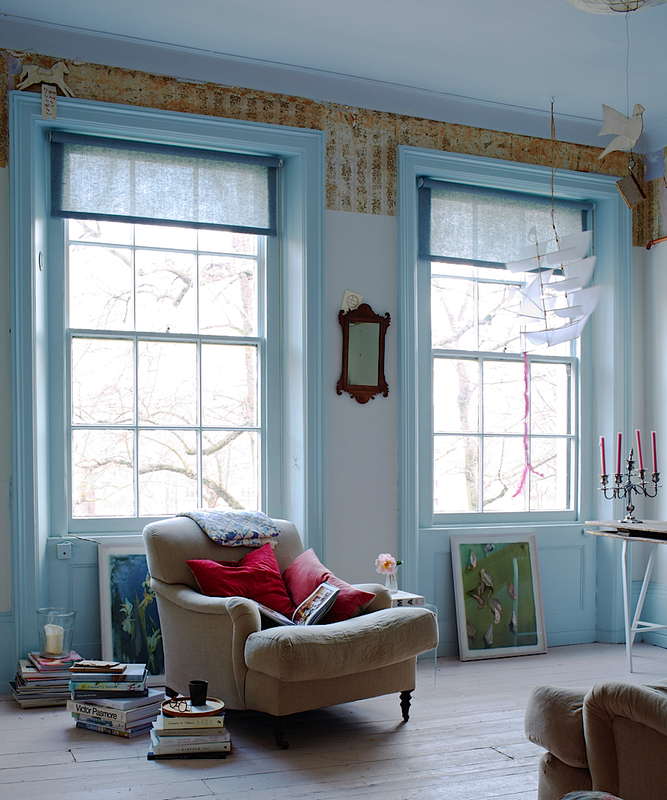 Above: The reception room of the vicarage also doubles as a photography studio. The vicarage kitchen has been the back drop for such cook books as Great British Bake Off: Big Book of Baking and Irish Traditional Cooking by Darina Allen. My career phases have occurred in ten-year shifts and at about seven years into being an interiors stylist, I started thinking, “I want to take the picture.” I was working with talented photographers and took advantage of this by watching and asking questions. Photography brings together a much wider levels of skills and I wanted to learn them. The transition from interiors stylist to photographer was much harder than I had anticipated. I feel like I did a few years of “doggy paddling” before I could swim well with confidence. In learning new skills, you sometimes have to take a step backwards and be humble about your abilities in order to acquire new ones. 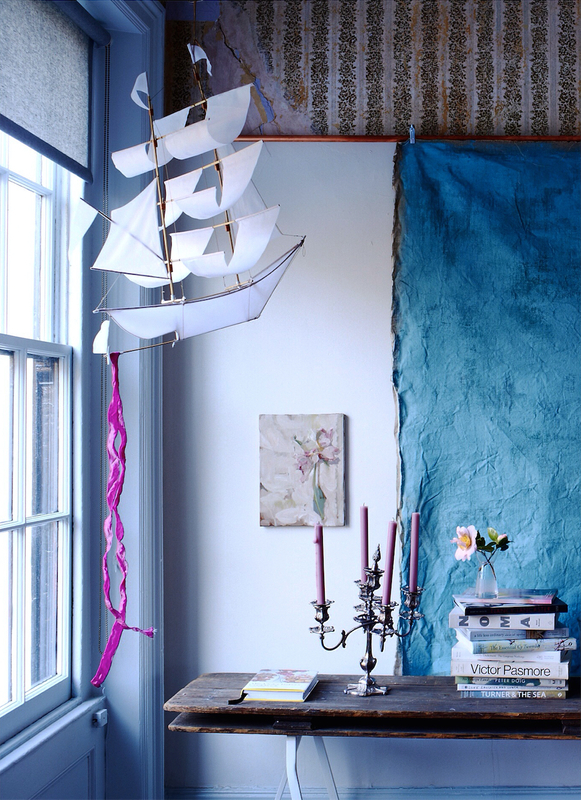 Above: In her studio, one of Kristin’s paintings hangs next to one of her signature hand-painted backdrops. The journey is ongoing and I’m still learning everyday. Next, I want to incorporate my painting skills into my life and my photography. 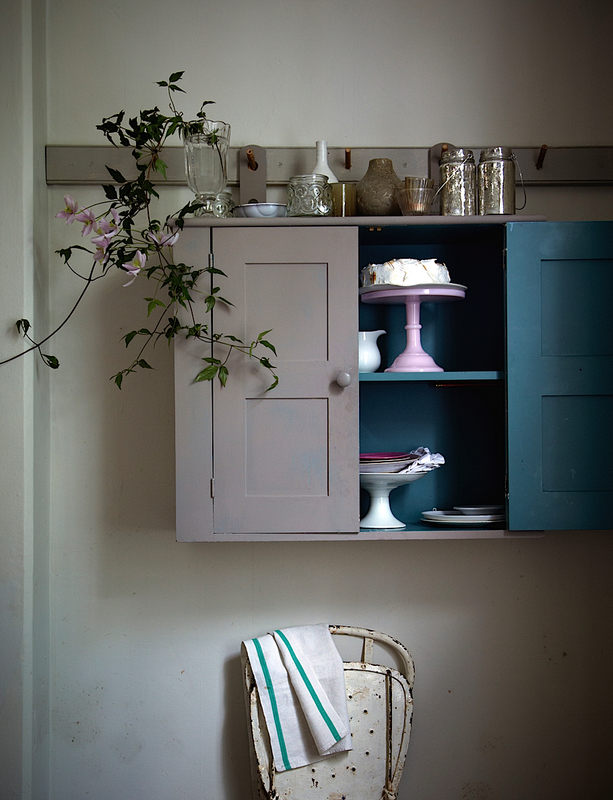 In Shaker spirit, Kristin hangs a cabinet from peg rails.This photograph was taken for the Great British Bake Off: Big Book of Baking. MCHS – We know from your book The Seasonal Home, which you wrote right after your sons were born, that the domestic side of life is significant for you. Now that your sons are in their twenties, how has that changed? KP – I have always been very domestic. 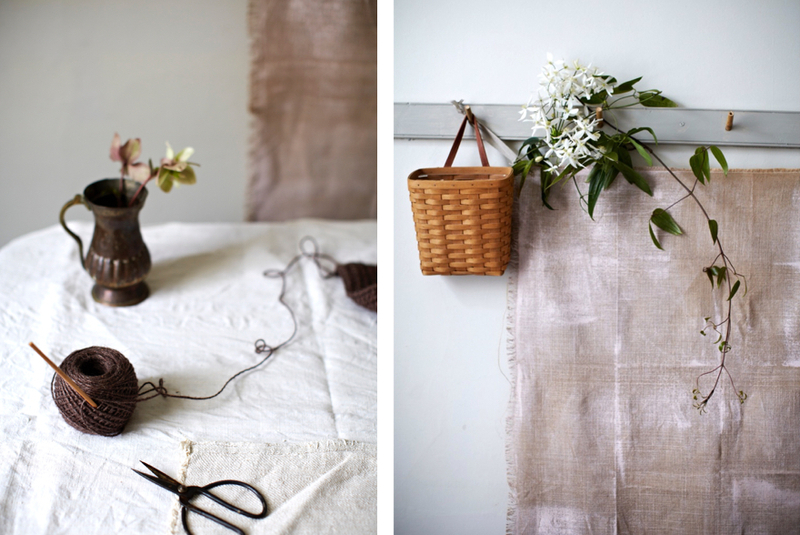 The home is very important to me, something I share with my mother who was also a painter. She channeled her creativity into her family and taught me how the atmosphere in a home can enhance your life — it was her way of showing her love to us. My job now is to constantly go into homes that are beautiful and highly curated and this can be very destabilizing. The most important thing I learned from my mother is to love what you have and be able to see the beauty in the mess. The concept of empty nest is slightly different for me than most parents in that my two sons grew up with their father. I was the absent parent whom they visited on the weekends. Now that they are young men who are free to stay with us when they want, it has been ever so important for me to continue to make a home for them where they feel welcome and comfortable. 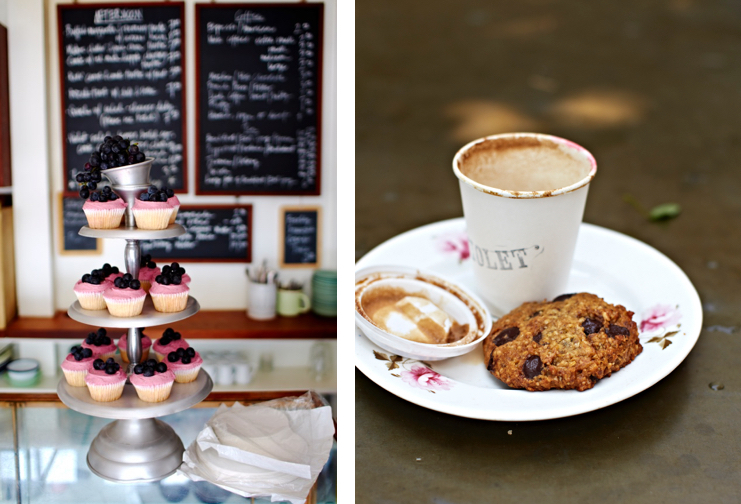 Above: A cake stand filled with cupcakes topped with seasonal buttercream icing and a cup of coffee with an oatmeal biscuit — delicious edibles from East London bakery, Violet. Both of these images were shot for The Violet Bakery Cookbook. MCHS – What’s new on your horizon? KP – As someone who can quite happily spend a lot of time alone, what I have enjoyed most about being a photographer is that it forces you out to be social much like being a vicar’s wife. I enjoy sharing my skills and passions as a photographer with a wider community and am about to co-run a photography and food styling workshop with Clare Ptak from Violet, whom I met when I photographed her new book, The Violet Bakery Cookbook. We are both based in the East End of London, which benefits from a close sense of community and we want to give back to it. I love my recent discovery of being social and making connections. The upcoming Violet and The Vicarage workshop on 7-8 November is an expression of that. If you are interested in attending, booking information can be found here. Above: The vicarage will be one of the locations for the two-day workshop. Photograph by Christine Chang Hanway. MCHS – How do you stay strong and stay well in body and mind? KP – For exercise, I do yoga and a lot of dog walking. Spiritually, I am married to a vicar and living in the vicarage means that we are very connected to the seasonal ebbs and flows of parish life. We live in a unique situation and I cherish it immensely. 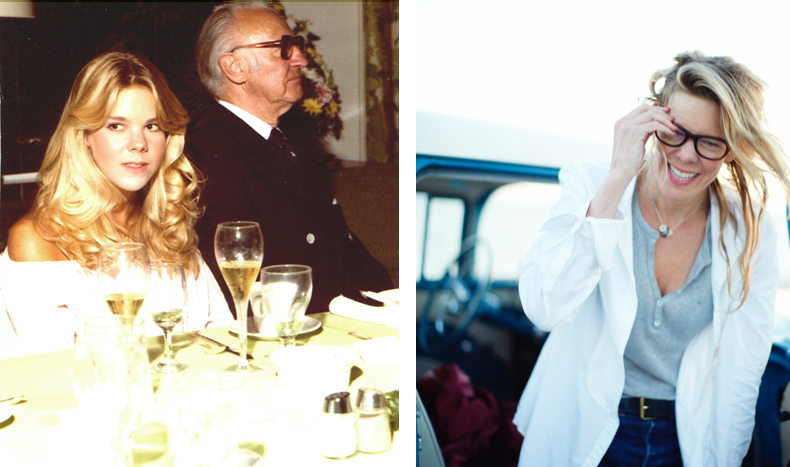 Above: L: Kristin at her debutante ‘coming out’ party in Vero Beach, Florida in the late 1970’s. R: A recent photo of Kristin taken on Shelter Island, NY by the mutual friend who introduced us, Martha Pichey. Unless otherwise noted, photography by Kristin Peers. Above: Kristin’s tools. Artwork by Christine Chang Hanway. A Fabulous Fabster thank you to Kristin Perers! An inspirational piece.. Many women in their fifties are working things out and setting off in uncharted directions. We feel excited but often daunted in worlds that can be very youth orientated. Young creatives of course need championing, but our stories need telling too, so thank you for this..
Hi, Deborah. There are so many amazing FABster stories out there to tell and it’s my mission to unearth as many as possible to share the wealth of all their experiences. Thanks for letting me know that you were inspired by Kristin’s story. Good luck with your own journey and look forward to hearing more. All the best, Xtine. Thanks so much for your wonderful feedback! All the best, Xtine. Hi Jane. Yes, I agree, what a beautiful way of describing Kristin. Thanks so much for this. All the best, Xtine. I am back home in Concord MA from my very excellent trip to London and Copenhagen. Of all that I saw and did (lots! ), my favorite was the Fabulous Fabsters tour with Cindy Polemis at the Tate., and of course the beer and conversation that followed. 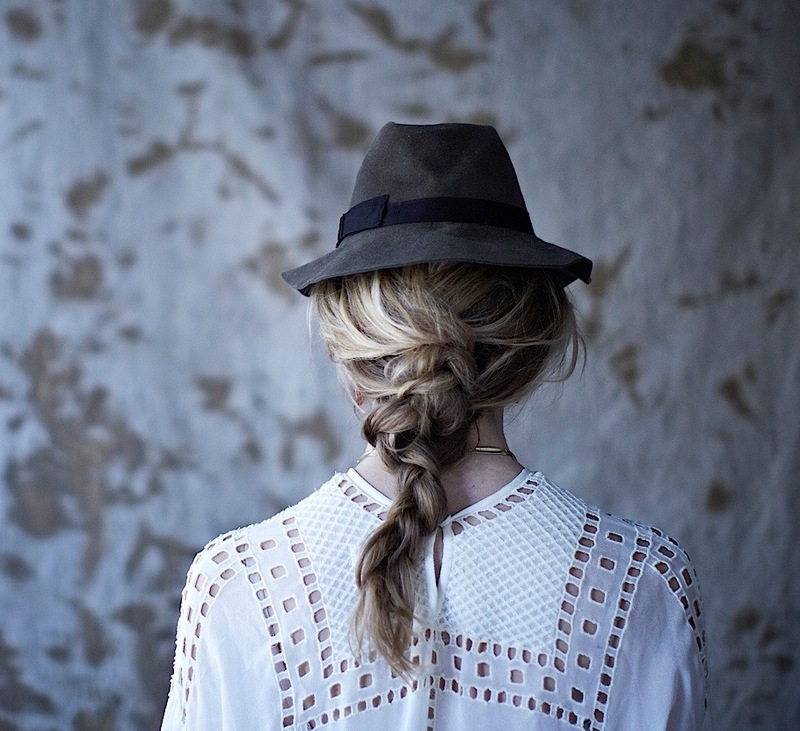 Kristin, your photography is so lovely – I want to inhabit every image ! Whoo hoo! Thank you so much for coming and sooooo glad we were your favourite! Please come again soon. We need to continue that discussion!! !